Corning announced today that the newest generation of Gorilla Glass, Gorilla Glass 5, is official. It will be available on devices starting later this year. The main improvement? Increased resistance to impact damage (i.e., shattering / cracking). That should mean that Gorilla Glass 5 will be the most drop-resistant version of the company's proprietary glass blend yet. How resistant is it? Corning's language is a bit... wishy-washy, but this is about as close as we get to a concrete (pun intended) statement on durability. In American, that's up to an 80% drop survival rate at heights up to around 5 feet and 3 inches. Not bad, right? Corning doesn't comment on how much tougher GG5 is than the outgoing Gorilla Glass 4 (announced over a year and a half ago), though, so it's hard to say just how much of an improvement this is from generation to generation. And Corning isn't really talking about how this enhanced impact-resistance was achieved (not that they necessarily should be expected to), at least at this point. You can watch their promo reel about it all below. CORNING, N.Y., July 20, 2016 — Corning Incorporated (NYSE:GLW) today unveiled its latest breakthrough innovation – Corning® Gorilla® Glass 5. Responding to consumers’ No. 1 issue with mobile devices, the new cover glass is designed to provide further protection against breakage from everyday drops. Rigorous lab tests show that Gorilla Glass 5 survives drops onto rough, unforgiving surfaces up to four times better than competitive glass designs. The unique attributes of Gorilla Glass 5 build on the best-in-class performance of previous generations of Corning Gorilla Glass. Mobile devices are the primary tools consumers use to capture, view, create, send and consume digital content, and the cover glass is the interface for touching, typing and swiping that content. Consumers count on their cover glass to deliver damage resistance, optical clarity, touch sensitivity, and protection from drops. According to a recent global study*, over 85% of smartphone owners have dropped their phones at least once per year and 55% have dropped their phones three times or more. Additionally, more than 60% of smartphone owners reported dropping their devices between shoulder and waist height. 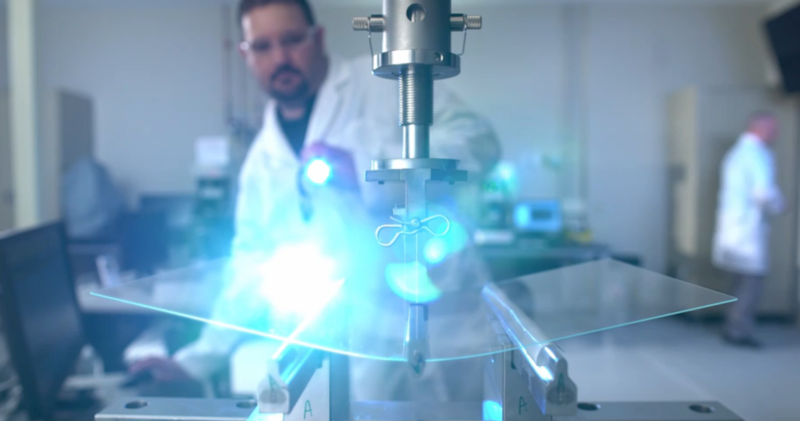 In lab tests, CorningGorillaGlass 5 survives up to 80 percent of the time when dropped face-down from 1.6 meters onto rough surfaces, far outperforming competitive glass designs. Leveraging its strengths in glass science and fusion manufacturing, Corning leads the cover glass industry it created nearly 10 years ago. Corning Gorilla Glass has been used on more than 4.5 billion devices worldwide, including more than 1,800 product models across 40 major brands. Gorilla Glass 5 will allow manufacturers to provide the ultimate in high-resolution, touch-enabled devices. “Corning has a 165-year history of delivering life-changing innovations,” Bayne said. “Gorilla Glass 5 is the latest example of Corning applying its material-science expertise to solve tough consumer challenges in a way that impacts people’s everyday lives. Corning Gorilla Glass 5 is commercially available and is expected to be on product models from leading global brands later this year. * Numbers noted are averages of an 11-country study of global smartphone users, based on Toluna’s Quicksurvey panel. Countries included the U.S., Brazil, the U.K., France, Germany, Italy, Turkey, India, Russia, China, and Indonesia. Collectively, these countries represent 3.9 billion people, or 54% of the world’s population.